Map of 9,973 acres of land laid out for Nathaniel Mallory and others, in the County of Clinton. Surveyed A. D. 1798, by Chas. C. Brodhead, Deputy Surveyor. Source: New York State Archives. New York (State). State Engineer and Surveyor. Survey maps of lands in New York State, ca. 1711-1913. 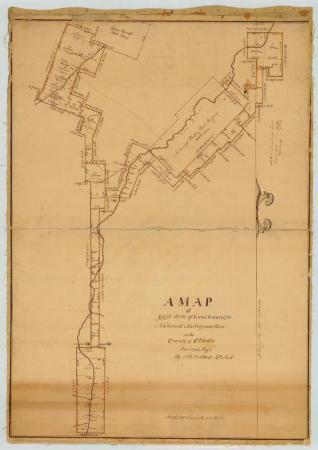 Series A0273-78, Map #98.